To include a photo inside your Forum post, first upload your photo to the Gallery on this site. Click "Show my recent Gallery photos" as seen above to display recent images that you have just uploaded. 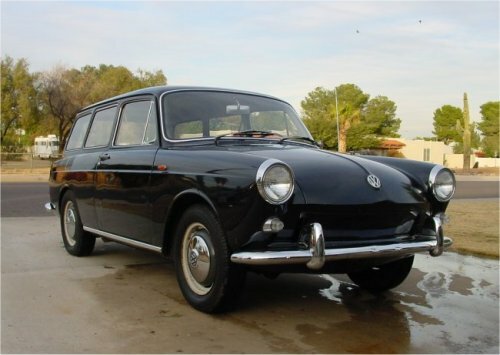 Click "Insert" under each image you want to use in your post and the [img] text will be inserted into the message body, as seen above. Add some comments and press Preview to make sure your photos are working before using Submit to post your message. 1b. On the right side of the category listing, you will see a box with the new image Forum Code. The link is now on your computer clipboard. Update: On most computers, simply clicking the box will now put the link on your clipboard. You are done! 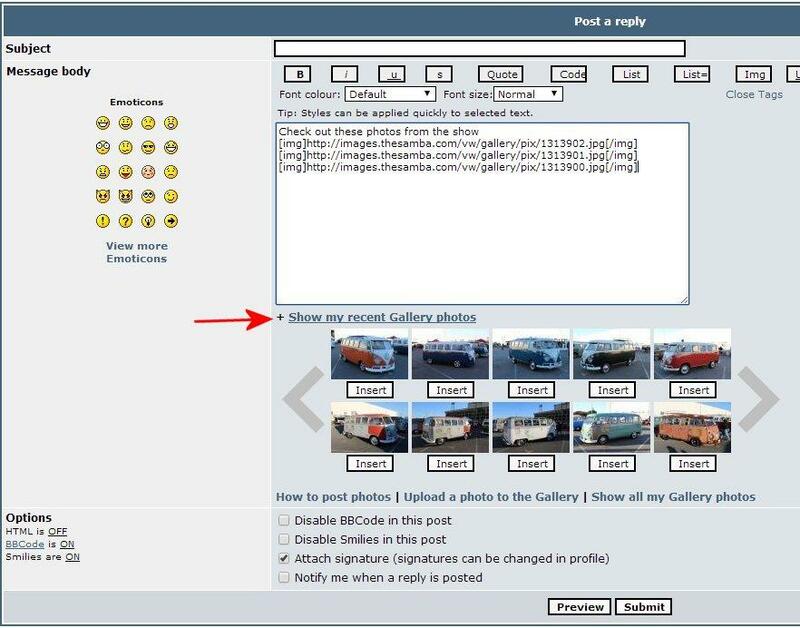 Add some comments and press Preview to make sure your photos are working before using Submit to post your message. 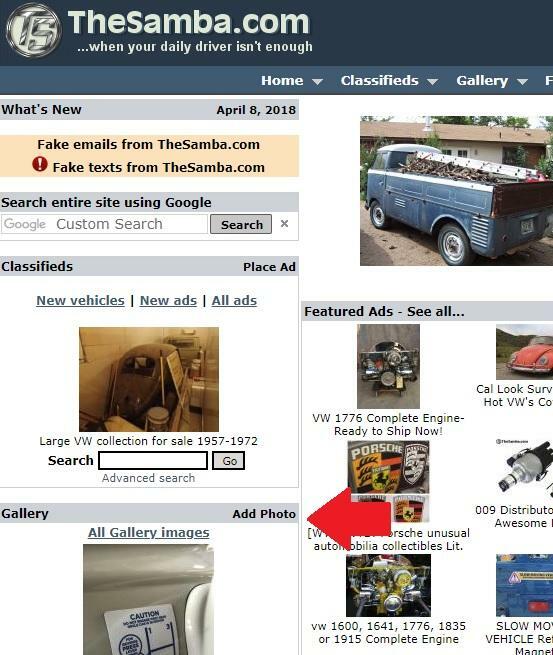 When posting photos, PLEASE consider posting the photos in the Samba Gallery instead of just posting links to some picture hosting site. If you post it elsewhere, the photos often become "dead links" after a certain period of time, which ruins the thread where you posted the photos. If you post them in the Samba Gallery they are here forever. Not only that, but in the Gallery users can search for photos so much easier than they can in the forums. It's worth it. If you are using the "Insert photo from my recent Gallery photos" link and scrolling list of photos, it only loads a certain number of recent images. I looked at your recent posts and it looked like you somehow mixed up some of the images so the text links were overlaying each other, preventing some of them from appearing. I did see one post where you had the same image posted over and over. I'm not sure how you did that. It sounds like you are saying you had scrolled to the end and were getting duplicates near the end of the list? I went to the end of what I could scroll to on the "Insert photo from my recent Gallery photos" listing for me and everything worked ok for me when I hit "Insert" on various photos there. You can insert even older photos by clicking on the "Show all my Gallery photos" link above. This will open your entire Gallery list in a new window and you can select individual images from your complete gallery. You do have to cut and paste the links instead of the easier way of hitting "Insert" over and over for your recent images. Testing..... trying to save some steps on inserting pictures. My phone pix go to google photos automatically. So i would like to just grab them and insert. THe one below, I right-clicked the photo on G-Pix and pasted here with the IMG tags. It did not show up in the thread, but when I click on it, it shows up. below I used the URL tags to see if that did anything differently. Neither one did what I wanted. Any other way to insert pix vs. putting them in the gallery 1st? It is time consuming and difficult to see when trying to insert into my gallery from my phone. A phone APP might help. Anyone working on that? The photos must end in .jpg or another photo-type extension. The link you posted above does not end like that. Maybe they have another link you can use for Forums? Your link didn't work for me at all, even when I click on it. As far as I can tell from a Google search, Google Photos broke/removed the ability to embed photos in Forums several years ago. 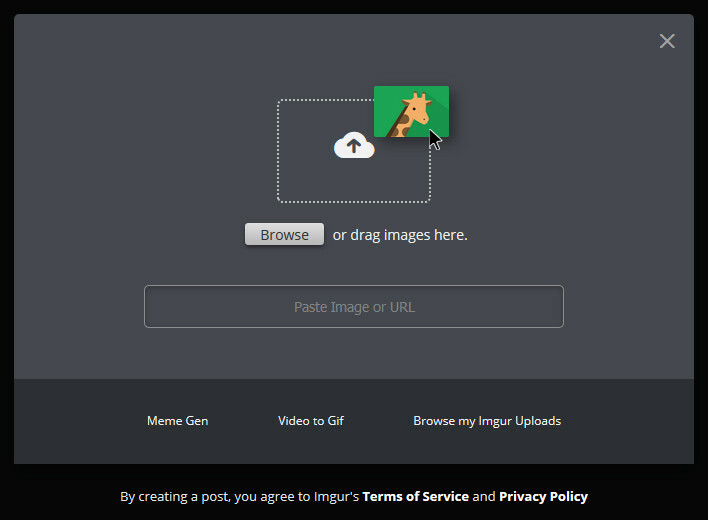 There are other image hosts, but imgur is decent and free (for now, rip Photobucket, you were great in your time). 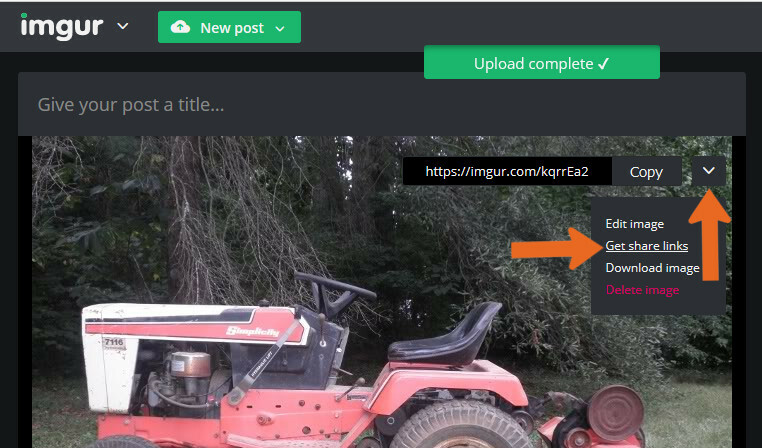 You can make an imgur account to keep your images together (and access later to edit/delete) but it's not required. Ignore the busy homepage, the link you want is right up top, "New post"
Click the Browse button, select your photo(s), and click 'Open'. 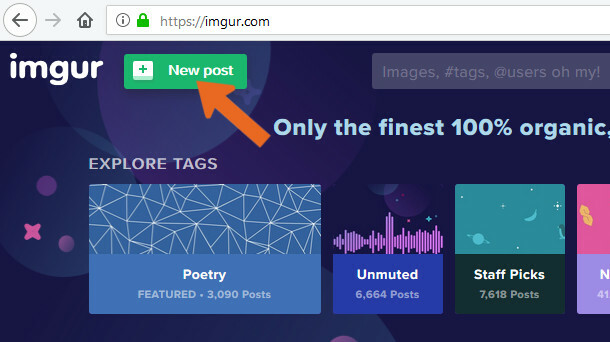 Once the upload finishes (it'll tell you) hover your mouse over your picture, then hover over the down arrow to get the 'Get share links' link, click it.